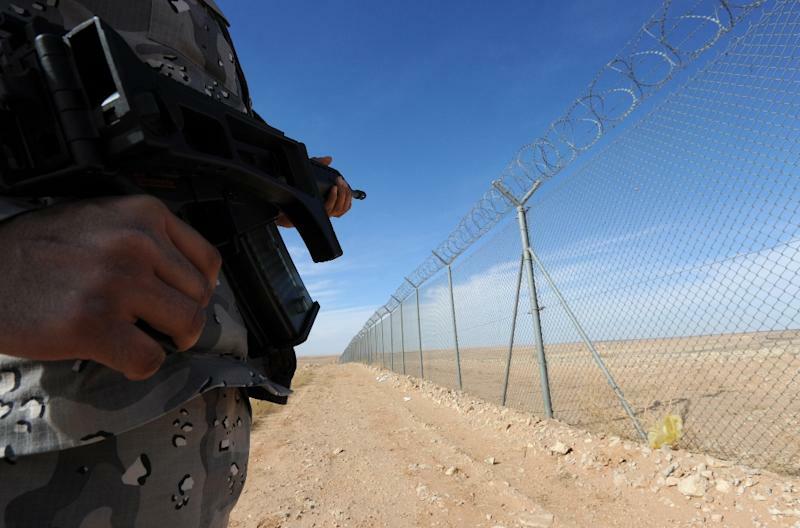 Baghdad (AFP) - A suicide bomber struck an Iraqi position on the border with Saudi Arabia, killing six guards, officials said Saturday, an attack claimed by the Islamic State group. The bomber detonated an explosives-rigged truck at a border post in Iraq's vast Anbar province on Friday and also wounded 14 guards, an army lieutenant colonel and a local official said. IS issued a statement claiming the attack, which it said was carried out by a bomber identified as Abu Ali al-Ansari. The statement was accompanied by photos, some of which were apparently shot from a drone. One showed a truck trailed by a long cloud of dust approaching a small outpost in the desert, while another pictured a massive column of smoke tinged with fire almost completely obscuring the position. Other shots showed fighters with machineguns and a mortar who were said to have supported the attack. The truck itself was shown swathed in home-made armour that covered all but a small window for the driver and an air intake for the engine. IS has overrun significant territory in Anbar province, which stretches from the borders with Syria, Jordan and Saudi Arabia to the western approach to Baghdad, including provincial capital Ramadi. IS used dozens of car and truck bombs in the operation in which it seized Ramadi in May, and explosive devices are a key aspect of the jihadists' offensive and defensive tactics. Iraqi security forces have been fighting to close in around Ramadi for months, and succeeded in retaking a large area on the southwest side of the city last week.